It’s time to check in on Greta Garbo again, as we take on another recommendation from the Great Movies – 100 Years of Film book following my screening of Anna Karenina. This one is based on the novel by Vicki Baum, and is filled with melodrama, one for almost every room in the hotel. Garbo headlines the cast as Grusinskaya, a ballet dancer who seems to be suffering from loneliness and depression, so much so that it is affecting her career. 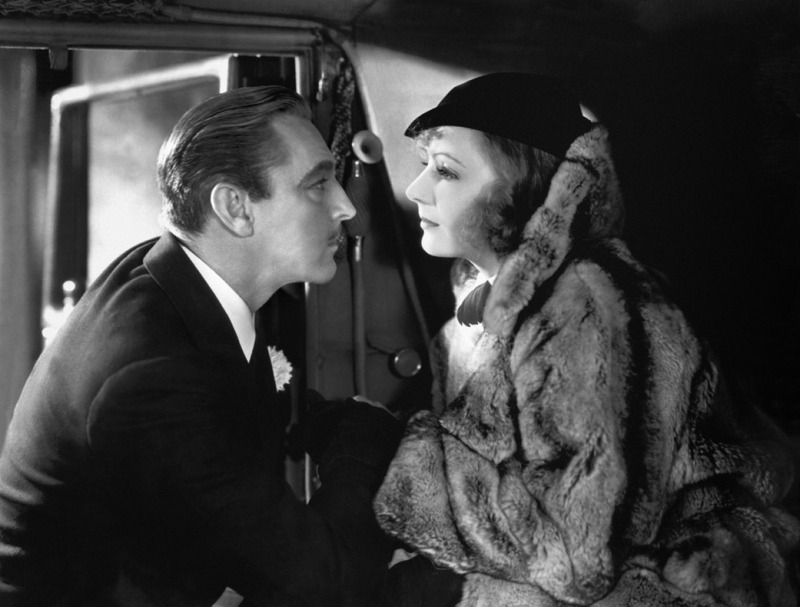 But despite having top billing, she shares the story with a number of other characters, including the likable John Barrymore as The Baron, a financially bereft lord who has been reduced to working as a jewel thief for others. There is also Joan Crawford, who looks delightfully stunning in this film, as Flaemmchen, a young stenographer, who has been hired to take records for a business man, Preysing (Wallace Beery) and his dealings as he tries to cement an agreement, and also ends up developing feelings for the young woman. And then there is Lionel Barrymore as Kringelein, who works for Preysing, but after getting some recent news, and some consolation from the Baron, has decided to embrace life. Set against the beautiful art deco style of the time (one of my favorites), and a complaint by the hotel staff that nothing exciting ever happens in the Berlin hotel, the stories unfold in an entertaining way, as character paths criss-cross, and interweave with one another. There is a love-story that blossoms, after a questionable start between the dancer and the baron, and despite the offer of helping him with money, the baron wants to get out from under his obligations himself before he can join the dancer on the train out of town that night. There is drinking, carousing, betrayals, thefts, and eventually everything culminates in a murder that will change the characters who are visiting the hotel, but tin the end, have no effect on those who run it. The film is highly enjoyable, filled with high melodrama as only a film of the time could be. The script, as it is, simply wouldn’t work in today’s films, but that doesn’t mean it isn’t a lot of fun. John Barrymore’s Baron is a lot of fun, and has a surprising amount of depth for what could have been a one note character. There is a lot of fun in this one, as we jump from one sequence to another, following the characters on their paths, some of which lead to inescapable fates, and happy endings.